What’s the Ideal Scenario for Penn State’s Playoff Chances Today? Heading into the final Saturday of the college football regular season, surprisingly, Penn State is right in the thick of things in terms of qualifying for the College Football Playoff. Before the games get underway, including an important one for the Nittany Lions at noon, let’s look at what is the ideal outcome of specific games for PSU and its postseason hopes. Obviously the biggest game of the day is Penn State’s own. The Nittany Lions host Michigan State at 3:30 P.M. today on ESPN. The Spartans are just 3-8 this season, however, they were a missed two-point conversion last week from potentially upsetting #3 Michigan. 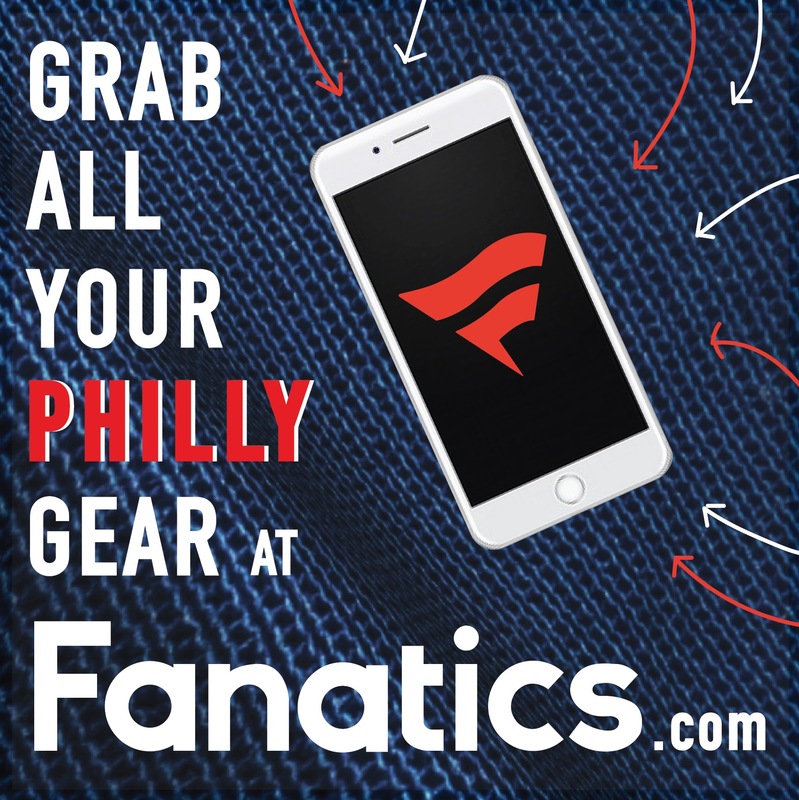 To keep their playoff hopes alive, the Nittany Lions need to take care of their own business and win at home today to finish the regular season with just two losses. The second biggest contest of the day for PSU is likely to be over before James Franklin and company kickoff in Happy Valley. #3 Michigan visit #2 Ohio State in a game that could make seismic waves throughout the college football playoff rankings. PSU upset OSU earlier this season, which leaves the Nittany Lions with the tiebreaker over the Buckeyes. Therefore, Penn State is rooting for an Ohio State win today, which would leave both PSU and OSU 8-1 in the Big Ten while dropping Michigan to 7-2 and out of the conference championship conversation. Then by virtue of the head-to-head tiebreaker, Penn State would win the Big Ten East and head to the conference championship next Saturday at Lucas Oil Stadium against #6 Wisconsin. 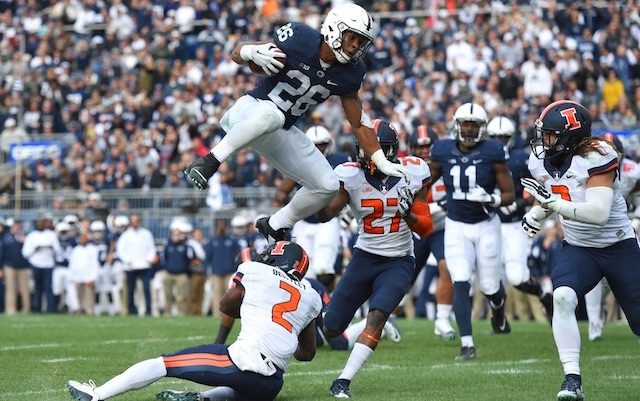 Those two games are the two biggest contests today for Penn State and keeping the playoff chances respectable, however, there are two other games which could shake things up in PSU’s favor. Although the Badgers of Wisconsin are definitely heeding to the Big Ten Championship next week regardless of today’s outcome, a loss today at the hands of the Gophers could severely damage Wisconsin’s playoff chances. This game is in Wisconsin, but Minnesota, despite being un-ranked, is 8-3 this season, competing in a tough Big Ten. It may not seem likely, but a Minnesota upset of #6 Wisconsin would likely drop the Badgers behind the Nittany Lions, heading into next week’s Big Ten Championship. Although these two teams are behind Penn State in the rankings, this outcome could have an effect down the road. If #21 Utah upsets #9 Colorado, that knocks Colorado out of the Pac-12 championship and inserts the streaking #12 USC into the conference title game next week against #5 Washington, who won on Friday night and cemented its spot in the game. If Colorado does win, there is still a chance Washington could fall next week, but a USC-Washington match-up seems much more intriguing and likely of an upset with many folks campaigning for USC to be in the top-six in the playoff rankings right now, despite having an 8-3 record. A Washington loss in the conference championship game next week, coupled with a Penn State victory in the Big Ten title contest, would surely help PSU lock up a playoff spot. The final two aforementioned games would be just a bonus for Penn State, however, a PSU win is mandatory and a OSU triumph is very much needed to keep the Nittany Lions in the serious conversation. 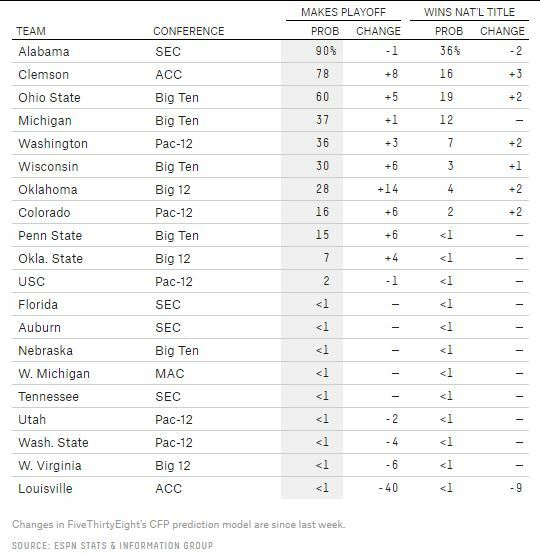 However, with all of that being said, ESPN’s FiveThirtyEight believes Penn State already has an outside chance of making the playoff. The above chart was updated following last week’s slate of games and shows how Penn State’s chances increased. It’ll take the outcomes outlined above to get the Nittany Lions’ probability into the top-four.